As the nation’s health care system reels from the economic meltdown and the uncertainty of upcoming reforms (including those in the Affordable Care Act, scheduled to take full effect in 2014) and possible cuts to Medicaid and Medicare, many people with HIV are wondering about the future health of HIV care in America. But the changing—and fiscally challenged—landscape has produced some new models that point the way to a place of improved care for more people living with HIV. Click here to watch a video interview with Don Blanchon. When Don Blanchon took over as executive director in 2006, the Whitman-Walker Clinic in the District of Columbia was in crash mode. Founded in 1978 as a nonprofit LGBT community health center, Whitman-Walker had become, through the 1980s and ’90s, a powerful weapon in the district’s fight against HIV. But by the time Blanchon arrived, the clinic seemed doomed by the grim funding realities chipping away at the U.S. health care industry as a whole and HIV service providers in particular. Staff spirit was as anemic as the clinic’s cash flow. “People felt defeated or demoralized by the challenges they’d been up against over a number of years,” says Blanchon, whose career path has been driven by his younger brother’s death from AIDS in 1999. “The organization’s morale was really low,” Blanchon says, “and its community reputation was too.” Crippled by a reliance on ever-dwindling private donations and precarious government grants, the clinic had even missed payroll once in 2005. Cut to April 2011: Blanchon takes the podium at a glittering gala celebration of the clinic’s Lazarus-like resucitation. To commemorate the milestone, he announces the organization’s rebranding as Whitman-Walker Health, reflecting the broadened nature of the services the clinic provides. To achieve this transformation, Blanchon first had to shrink the operation through painful layoffs and program closings—moves that helped the clinic escape budget shortfalls approaching $4 million in both 2007 and 2008. “The real crux of the issue was that the AIDS service organization business model we relied on appeared to be a dying model that would not continue long-term,” Blanchon says. How did the clinic then flower and expand, producing close to a million dollar operating gain on its nearly $20 million 2010 budget? Blanchon followed the lead of several other major LGBT community health centers around the country, embarking on the long process of transitioning Whitman-Walker into what is known as a “federally qualified health center” (FQHC). At press time, the clinic had attained “look-alike” status and was on the cusp of full FQHC designation. As a look-alike clinic, Whitman-Walker can receive greater Medicaid and Medicare reimbursement rates, as well as access to federal grant money and the authority to purchase medications at a discounted rate. When it becomes a fully designated FQHC, it will have greater access to grant money, in addition to malpractice coverage and federal stimulus money designated specifically for FQHCs. To qualify as an FQHC, Whitman-Walker has had to address the health needs of a wider swath of the population, no longer restricting services mostly to clients with HIV. Now the clinic serves the entire LGBT community—and beyond. This expansion allows Whitman-Walker to draw on more diversified funding sources. In 2005, a whopping 90 percent of the clinic’s budget came from donations and grants. Today that proportion has dropped to a little less than half. Nearly a third of Whitman-Walker’s funds now comes from an expanded in-house pharmacy. A fifth comes from third party insurance—mostly the enhanced Medicaid reimbursements. The decision to broaden the patient population, Blanchon says, was actually a return to the clinic’s roots as a leader in the LGBT health movement. Blanchon, who is heterosexual, says that his devotion to championing LGBT rights blossomed after he watched the way his brother and other dying gay friends were treated during the early years of the AIDS crisis. Whitman-Walker’s roots lie in 1960s idealism, which produced the U.S. community health clinic movement. The movement gathered steam during the 1970s, paralleling the emergence of the post-Stonewall gay rights movement. Volunteer-based gay clinics began appearing in urban areas around the country. Then along came AIDS. Many clinics, such as Whitman-Walker in DC, Callen-Lorde in New York, and Fenway in Boston, sharply narrowed the scope of their services in the 1980s to meet suddenly desperate health care needs. Federal funding streams have also worked to fracture and specialize community health services. A major push came from the 1990 Ryan White CARE Act. As the “payer of last resort,” the program’s original intent was to fill gaps in care, treatment and services. But between the high rate of HIV-positive people who are uninsured and the restrictive eligibility requirements for coverage—not to mention HIV stigma, which discourages some positive people from using general purpose medical centers—hundreds of thousands of people with HIV have filled Ryan White–funded HIV clinics over the years. In 2010, Ryan White funds provided an estimated $2.3 billion for about a half million lower-income people with HIV. But the CARE Act’s resources, which are discretionary and subject to periodic reauthorization from Congress, have proved notoriously insufficient. At press time, more than 8,500 people were on waiting lists for drug coverage through the AIDS Drug Assistance Program, one of Ryan White’s four funding divisions. And Republicans were pushing for further cuts that would slash the budget by billions, according to The AIDS Institute. Total demand for Ryan White funds has increased more than 30 percent during the past five years, while funding has remained flat—even without threatened cuts. Seeing that Ryan White funding is an unreliable foundation for long-term financial stability, some community clinics have shown grace under fire and, like Whitman-Walker, have used their budget crises as a catalyst for change. Some saw the light awhile back. In 1999, Chase-Brexton Health Services Inc. in Baltimore led the way as the first historically LGBT health center to expand its operations to serve more diverse patient populations and become a federally qualified health center. Its director of clinical programs and public policy, David Haltiwanger, PhD, says the organization was inspired in part when its staff noticed that, sitting beside regular HIV patients in the waiting room, there were many (HIV-negative) family members who also needed care. Legacy Community Health Services Inc. in Houston saw the writing on the wall during the uncertain 2000 reauthorization of Ryan White, at a time when the CARE Act funded three quarters of the clinic’s budget. So it broadened its scope of operations to welcome all uninsured and underinsured community members. It became a look-alike in 2005 and a full FQHC in 2007. It now boasts four separate clinics across Houston and a client base embracing LGBT, HIV-positive, Latino and African-American communities. Offering more pediatric and maternity services has helped diversify Legacy’s funding streams by giving it greater access to reimbursement through Texas’s highly restrictive Medicaid program. The Harlem United Community AIDS Center in New York City nearly collapsed in 1999. Arguing to file for bankruptcy, half the board of directors walked away. But those who stayed and forged ahead were able to revamp their business model, steadily adding medical services over the years to bring in more Medicaid dollars, and eventually achieving designation as an FQHC for the homeless in 2007. Today, Harlem United offers a vast array of wrap-around support services for more than 13,000 New Yorkers, about 7,000 of whom are HIV positive. Their ever-growing budget has run operating gains for well over a decade and is now approaching $40 million. Other groups have yet to engage in makeovers. According to a recent policy paper from the Ryan White Medical Providers Coalition and the HIV Medicine Association, many HIV-focused clinics are still bursting at the seams with patients while facing near-crippling budget shortfalls. 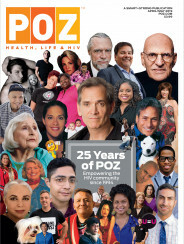 Ready or not, HIV providers of all stripes face a major financial upheaval in the next three years as the country heads into a full-scale launch of health care reform in 2014, when the Patient Protection and Affordable Care Act takes full effect. If the reform goes through as planned, any American whose income is at or below 133 percent of the federal poverty level will become eligible for Medicaid. This, on the surface, is great news for previously ineligible lower-income people with HIV. It’s also good news for HIV providers who have already positioned themselves to reap greater benefits from Medicaid dollars—if, that is, they can handle a possible influx of new patients, as well as current patients who may use services more frequently once they have greater access to insurance coverage. “The most important thing that could happen for people living with HIV/AIDS in our country is health care reform [being implemented],” says Rebecca Haag, president and CEO of AIDS Action Committee of Massachusetts. Here’s the catch: An estimated 70 percent of all people now receiving HIV care from Ryan White funds are at or below the poverty level. So if political battles over the next three years don’t sink the health care legislation, at least that 70 percent of an estimated 530,000 HIV-positive Ryan White beneficiaries will switch over, partially or wholly, to Medicaid. Meanwhile, Ryan White comes up for reauthorization in 2013. While the National HIV/AIDS Strategy has called for the long-term continuation of Ryan White, with diminished future needs for the program, the government may decide not to go along. This will leave in limbo all the dollars Ryan White provides to social support services such as case management. In addition, as Ronald Johnson, vice president of policy and advocacy at AIDS United, warns, the Republican-proposed cuts to Medicaid could drastically change the landscape. HIV policy gurus are gearing up for a fight to protect those still-crucial aspects of the CARE Act. “Ryan White is going away over my dead body,” insists Harvard’s Greenwald. “But Ryan White should be what it was originally intended to be—filling gaps in access to care and essential support services. These changes, while financially driven, may provide other benefits, such as helping destigmatize HIV by removing it from its silo and making it a medical concern like any other. In addition, shifting HIV-positive patients to general clinics may free up infectious disease specialists to focus on acute infections while encouraging positive people to care for the whole of their health, not just the challenges presented by HIV. That’s important because as positive people live longer, the scope of their medical concerns expands to include many aspects of health that are not the specialty of HIV doctors. An alternative, or in some cases, an add-on, to the federally qualified health center business and care model is what’s known as a patient-centered medical home. Groups like Harlem United, Fenway and the HIV program at St. Luke’s–Roosevelt Hospital Center in New York City are in various phases of adopting this all-encompassing approach to care, a designation that may also give U.S. clinics access to greater Medicaid reimbursement. 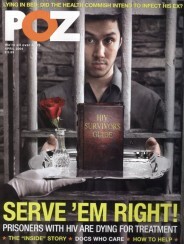 Gathering a vast array of services under one roof is not a new concept for many HIV providers. The combination of financial pressures and the intrinsic urgency and complexity of HIV care has long pushed them to innovate toward such comprehensive care. Providing care that produces solid results—measurable through the electronic records systems required for both FQHC and medical home designations—also positions these clinics to succeed within the health care reimbursement system of the future. In coming years, Medicaid and Medicare will likely put pressure on medical providers to contain costs and prove they are giving quality care with good health outcomes. Which is something that community clinics have known about since they began, pinching pennies along the way. “To Whitman-Walker’s credit,” he says, “I think they devised a plan for stability and followed it.” Diversifying funding streams may even offer some cushion against the blow of federal funding cuts. Those among the ever-swelling crop of patients at Whitman-Walker—which experienced a 30 percent one-year increase in the population it serves, to 13,000, last year—have seen their health care and social service options broaden as their clinic has found its way to financial solvency. Whitman-Walker provides everything from primary and specialty health care to dental care, pharmacy, mental health and legal services, plus public benefits assistance, case management and a day program. It has instituted what’s called the Red Carpet Service for new patients, incorporating the patient into care all at once, all under one roof. “I call Whitman-Walker my one-stop shop,” says Chanelle Smith, a 44-year-old transgender woman in Washington who has been receiving HIV care at the health center since 2007. “Everything is here.” Including, perhaps, the future of HIV care. Find out how to call and write your representative or senator at contactingthecongress.org. “If you’re an ASO that has done wonderful things for your clients but has used Ryan White funds exclusively, then your agency may be on thin ice in an era of change,” warns Chase-Brexton Health Services’ David Haltiwanger. AIDS Project Los Angeles (APLA) says it is in a good position to greet the changes of the next few years and is looking to expand its reach. Under a program called Bridge to Reform, a segment of Californians will receive a waiver over the next year for an early chance to use the expanded Medicaid eligibility rules that are planned to go into effect nationally in 2014. With the likelihood that the 3,000 at-risk HIV-negative clients APLA serves in its prevention programs will soon get access to health coverage, the ASO has applied for federally qualified health center status. As an FQHC, the group hopes to receive federal funds to develop a primary care system to meet its current prevention clients’ overall health care needs, as well as to provide a wider spectrum of care to HIV-positive clients who already receive its services. David Ernesto Munar, president and CEO of AIDS Foundation of Chicago (AFC), says his organization plans to unroll a series of pilot programs during the next few years that will more closely connect their support services with medical programs. In the process, the group hopes to uncover funding sources such as Medicaid that will recognize the vital and inextricable contribution AFC’s work has made toward successful health outcomes. Ronald Johnson, vice president of policy and advocacy at the Washington, DC–based AIDS United, says some ASOs may need to explore the option of merging with a local clinic. Harvard’s Robert Greenwald, JD, suggests that ASOs explore becoming Medicaid providers or a part of private health exchange networks. So long, that is, as these teams work together to make sense of a new reimbursement system (and that Medicaid doesn’t get slashed).